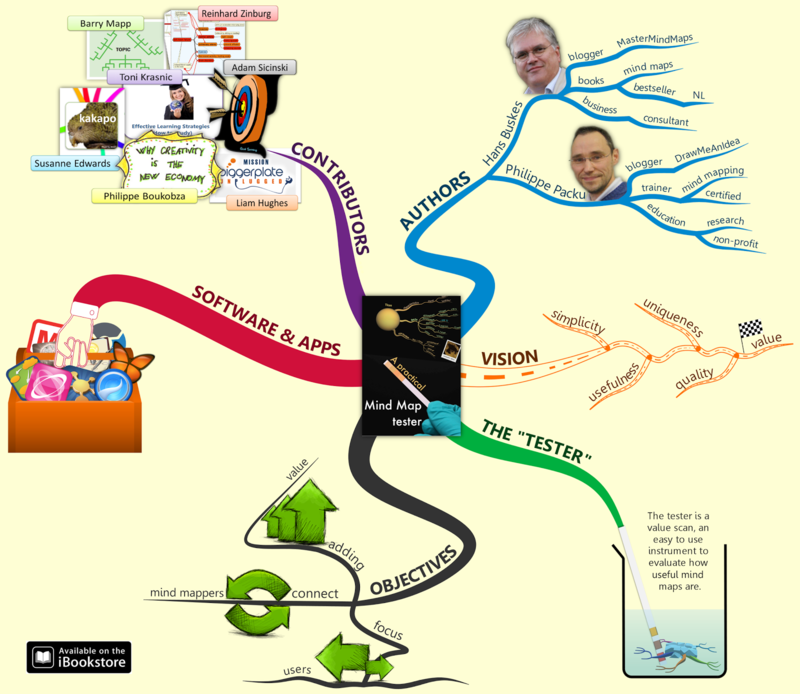 It's all about the thinking process and a fantastic way of visualising it with Mind Maps. You will find here many resources that I'm collecting with my new passion. Whether it's rules, techniques, tutorials, tips, templates, stories, ... it may help you with mind mapping. I'm a ThinkBuzan Licensed Instructor and everything I will share with you here will remain connected somehow to Tony Buzan's world. Enjoy! I'm very proud to announce my first eBook "A practical mind map tester" in collaboration with Hans Buskes. It's of course about mind maps but more specially about an easy to use instrument to evaluate how useful they are. This is a great event for me and a totally new experience. Thanks to my peer Hand Buskes (MasterMindMaps) who pushed me in the adventure and the Biggerplate Event at Utrecht where we decided to make it happen, I'm going to publish a first book worldwide. The book is about mind maps, a domain on which I focused a lot these last years. But the book is not about how to create them. Hundreds of books already exist on the subject and it is very easy to find the answer on the Internet. Moreover, learning how to draw mind maps is not a question of days, not even hours, it can be taught in a few minutes. What is more difficult is to apply the technique efficiently. The number of mind maps is growing exponentially. A Google search finds you hundreds of millions maps. Because of the vast numbers and the enormous variety, consumers of mind maps are confused. What is a helpful mind map? Which one should I use? How to prevent readers to be frustrated by consuming incorrect, incomplete, unreadable or incomprehensible content? How to ensure mind maps bring a real added value to the information chain? All these questions about mind maps today, Hans and I have intensively analysed them. Mind maps have become a fantastic mean of communication but like any new medium, it suffers from a lack of maturity. We can rule (or not) the way the diagram must be drawn, it's not enough to ensure that the output will have a good quality and will be useful for the user. It would not be a real concern if everybody was creating mind maps for their personal use. The difficulty comes with the fact that a lot of them are shared with the world hoping it will help. The elements of each individual indicator are described and tested extensively. Many of them are fresh to the mind map community. The scan isn't a final assessment. Following the results, further work can be done to strengthen the mind map making it more valuable to the user. Another possibility is to use the tester during the process of mind mapping, and proactively improve the mind map as you work on it. Before you can get the book which will be launched first on Apple IBookStore very soon, enjoy this creative mind maps about the book. You can download it on Biggerplate. Our vision is to bring more value in the domain by seeking for simplicity, usefulness, uniqueness and quality in mind maps that are produced and shared. Our objective is really to connect mind mappers and invite them to evaluate how helpful their mind maps are for users. In that sense, we have designed a very simple to use instrument to operate. 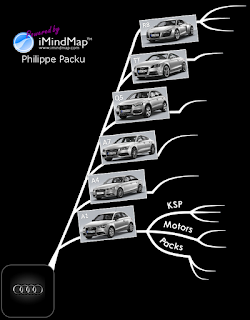 You will notice that the mind map above is made with iMindMap 7, using the new creative branch feature. 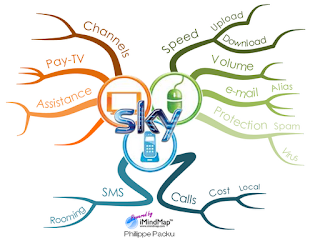 But in the book, you will find many mind map examples designed with a multitude of software and apps such as Connected Minds, DropMind, Freemind, iThoughts HD, Inspiration, iMindMap, MindMeister, MyThoughts and Mindjet. Our message is clear, we want to invite ALL mind mappers to grow and participate to the future of mind mapping, whatever mind map type they create or mind mapping software they use. That's also the reason why we invited some actors in the domain to express their point of view throughout the book. I want to particularly thank Reinhard Zinburg, Adam Sicinski, Toni Krasnic, Philippe Boukobza, Barry Mapp, Liam Hughes and Susanne Edwards for their contributions. Note also that one-third of the proceeds of this e-book will be donated to the non-profit organization 'Dessine-moi une idée', whose mission is to increase the efficiency and autonomy of people, especially children, giving them more opportunities to succeed in learning and coping with unusual situations. I hope many of you will enjoy the book. I'll meet you on the day of release. If you are an actor in the mind mapping domain or just interested by the subject, here are 5 reasons why Biggerplate Unplugged - Utrecht (NL) is the place to be on October 9th, 2013.When your name sticks to mind mapping, when people insist to meet you in person and when you are as passionate by the subject as I am, you can’t miss an event such Biggerplate Unplugged - Utrecht. Therefore, I will cross the northern border of Belgium and I will visit my friends in The Netherlands on Wednesday, October 9, 2013. If you are an actor in the domain or just interested by the topic, it’s the place to be. We will meet there to listen to expert speakers, join roundtable discussions, and grasp the opportunity to turn online connections into real world collaboration. Using hashtags in your Tweets obviously increases the visibility of your message. They also allow you to start or join conversations. Discover in this article the list of most popular hashtags, their classification in an interactive mind map and a free tool to explore them If you are active on Twitter or if you plan to be soon, you may find helpful to have a look at the most popular hashtags you could insert in your messages. 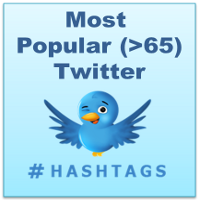 Twitter hashtags marks keywords or topics in Tweets. They are composed of a single word or phrase beginning with a "#" and with no spaces or punctuation. They were originally created by Twitter users and have become a so powerful and natural way to participate in global conversations that even Facebook rolled-out the system. News curation combined with mind mapping create new messages and provoke new feelings. 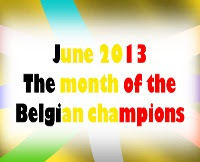 Beyond information structure, a mind map is also a fantastic vehicle for emotions and social exchange Belgium is a small country in Europe but it has been extraordinary present all around the world during the month of June 2013, thanks to its champions in various sports. The belgian sport is doing great, especially these last weeks. However, considered isolated, each performance and its related news is just welcome but it is not as impressive as if you would put all of them together. What if I don't like colors? Using colors in mind maps is maybe useful but for some of you, it may have an opposite effect or simply, there is less interest. Anyway, do we always have a set of color pencils with us? This article will show you how to make your mind map branches unique even in black and white It is not uncommon to meet people who say they do not like or use colors in documents. No later than last week, a teacher called me for help because one of her students prefers to draw mind maps only in black. She tried to convince him to use colors, explaining him the benefits, but in vain. Mind mapping and real world. Where is the boundary? After a long period of inactivity on the blog that I devoted to the creation of a non-profit association, I wanted to share with you a nice experience I recently lived in Paris with the « Biggerplate Unplugged Paris », a conference where I was invited to talk about mind mapping. In everyday life, you will encounter several occasions that require the creation of a wish list, with gifts for you or another beneficiary. December is a great month to talk about presents and a good opportunity for me to explain how mind mapping can really help you to manage such an activity.It’s December, the month of gifts. In Belgium, Saint-Nicolas is bringing toys to kids who have been kind during the year. It’s also Baptiste (my son) birthday. In other countries, Santa Claus will visit the children later in the month for Christmas. But adults also love Christmas presents, this evening during which we can exchange small and original presents to each other in front of the illuminated tree. I don’t know how you proceed on your side but, on our side, kids traditionally prepare themselves a wish list of gifts (toys, books, clothes …) which they send to the old man. They usually use various paper catalogues we have received from different shops. They cut images and then they glue on a panel. It’s of course a very pleasant activity for them but for us, the parents, it’s not obvious to manage it further. Indeed, how do we track who will offer what? Or, how do we make it available for the gift makers? How do we communicate where to buy the toys? I had an idea how mind mapping could help us to better manage the whole stuff, keeping the pleasure at the centre of our considerations. But I had to make it practical in order to verify my thoughts. Therefore, I proposed to my sons to move away from the traditional panel and create a mind map instead. 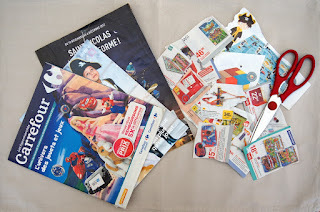 At the centre of the map, the idea was quite obvious: something like "What do I want to receive from Saint-Nicolas". Then, in order to identify the main branches, we made an interesting exercise. I asked the kids to look at the different tickets they had cut and to group them in clusters that made sense for them. At first sight, they found it a bit useless because they thought everything was just a gift or toy. 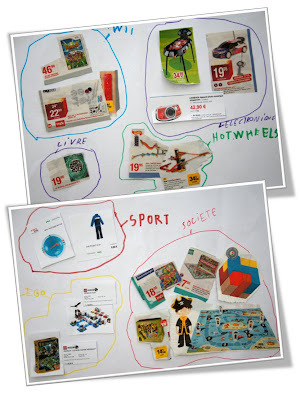 But with a deeper analysis, they finally identified main types such as board game, books or clothes and main domains such has sport, WII or electronics. Once the main branches were created, it became easy to place the items on the map and also quite natural to create sub-branches when appropriate. Indeed, during this generative thinking activity, the brain is stimulated to produce more thoughts. When looking at the structure and the items already in place, new ideas came to their mind; new wishes, very interesting and valuable ones were added, giving more choices and flexibility to the gift maker. The end result is a very well presented list, easy to understand and memorise. The kids appreciated the initiative. Beyond considerations of the children, there is additional information to collect and communicate to the different persons who will make a gift. Indeed, although children think you will send the letter to the North Pole, we all know that you will have to distribute it to the different members of the family (grand-parents, godmother, uncle …). Those people will be happy to know where they can buy easily the item, what it looks like and how much it costs approximately. The mind map is absolutely perfect for adding and maintaining this kind information. When you use a computer application such as iMindMap, it becomes even easier. For the place to buy, you can either mention a physical shop (the brand is usually enough) or even a web shop, with a direct link to the product on the internet. 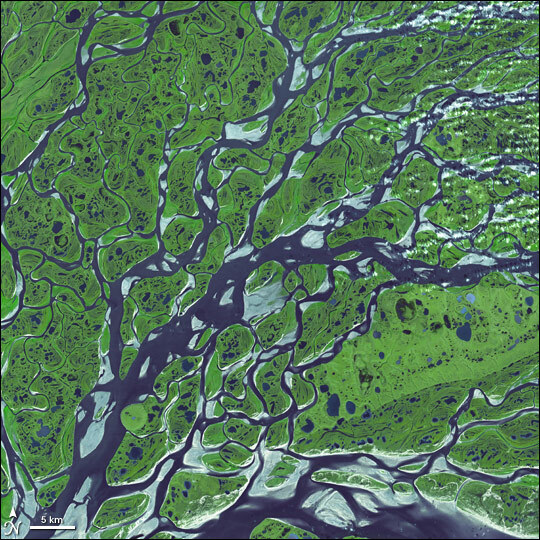 You can also find on the web a nice picture as well as other details that might be interesting to add on your map. For those who are interested, the resource file is available for download on Biggerplate, the mind map library. Using a digital support, you will benefit from features that are not possible with the traditional approach. You will be able to export it as an image that you can send via e-mail. You will be able to print and distribute on paper if necessary. New technologies allow you now to upload it in the cloud and just send a link to latest version. People are sometimes embarrassed in the shop with the choice. Using smart devices, they will be able to access the wish list on-line, check out the picture in order to make the right choice or decide to take another present if they cannot find what they were looking for. Once the mind map is created and distributed, there is still a problem to consider: “who is going to offer what?” It’s not easy to keep in mind all the feedback you received. Exchange efficiently the information between those who have already made their choice with those who still have to decide is not an easy task. Again, the mind map will help you a lot to manage all of that. All you have to do is to mark each gift with the name of the person who will offer it, using an additional sub-branch. Looking at the big picture, you can easily monitor what is already booked and what is still available. Another interesting task is to define preferences, especially when the amount of gifts is important. Using a typical rating with stars, you can ask the children to define what they want to receive first. 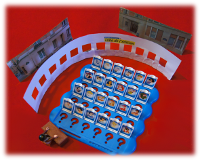 You can also communicate what are you own preferences as parents, knowing the educational or practical value of the gift (single versus multi-players, creative, powered by battery …) or maybe its redundancy with existing ones. Promotion or retirement at work: It’s not always obvious to define what you should offer to a colleague, especially when you are several to decide. Why not create a mind map with all the ideas and discuss about the alternatives according to the personality of the beneficiary. The mind map will be a nice support for collaborating and finally selecting a couple of options according to the budget you collected. The person will more than happy to receive a great gift instead of cash. Wedding, birth or baptism: Shops usually offer services to manage wish lists, from the creation to the consultation, including money collection and frequent updates. 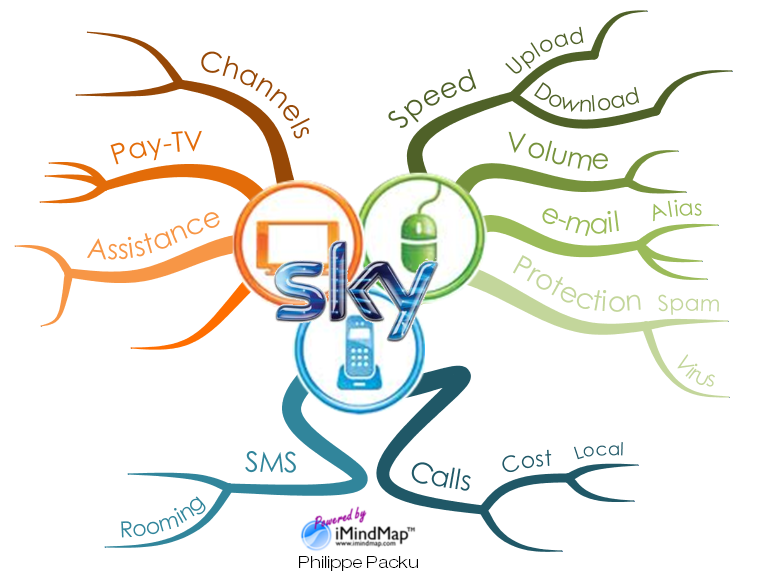 If you want to think about what you need or would like to receive, you can create a mind map before going to the shop. You will certainly save some time. If you start early enough, the support will be ideal to generate ideas and make a selection. If you want to present your wishes in a creative way, you can also publish your mind map (on a website dedicated to the event for example). It will be an original manner for your family and friends to discover your desires and a different way to invite them to make gifts. Birthday: Very similarly to the Saint-Nicolas or Santa Claus case, the beneficiary can organize the wish list with a mind map. If necessary, parents or friends can contribute and influence the content in order to match some of their expectations. All the benefits explained earlier remain applicable. Saint-Valentine: Do you want to make a gift to your partner that will surprise him/her and will really make the difference? A bit earlier in the year, start your mind map. Listen to your partner and capture both ideas and domains of interest. Try to read between the lines and add everything you thing is interesting to consider. When the time has come to decide, review your notes and imagine the gift that match the most. Christmas party: Imagine that you want to offer several small and creative gifts to different persons (family, friends …). Start your mind map with a main branch for each person to satisfy. If you already have concrete ideas about what to offer to them, add it on sub-branches. If you know what characterize them or what domains they appreciate, add it as well. Along your visits in shops or on Christmas markets, collect ideas or buy some presents. Assign them to the persons on your map. Looking at the big picture, you will easily see what you still have to find or buy. You will also see who will be happy and who won’t. I want my article to be as much practical as possible because I truly believe it's the best way to invite you to test the mind mapping technique and discover by yourself the benefits. This is my gift to you. I wish you a great December month, with plenty of other warm gifts. Not big ones, not expensive ones but presents that will mean something for you or will make you laugh; the kind of presents that will make you happy. Time has come to show you the progress of The Mind Mapping Team. 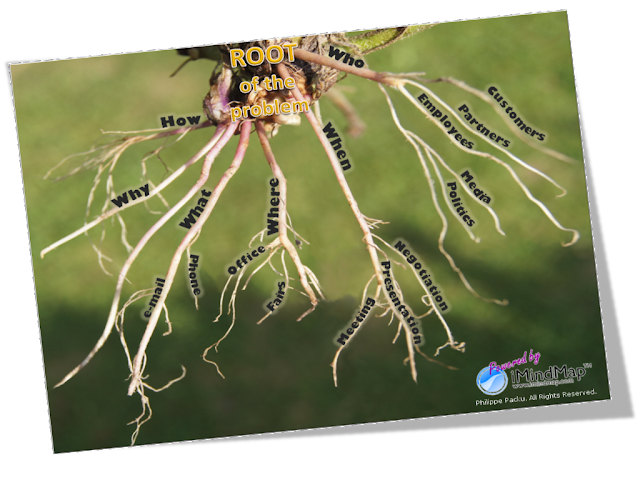 I picked a couple of interesting subjects that kids brought to me from school and we reworked them using mind maps. I identified plenty of benefits that I am please to share with you.Here is the time to give you some feedback about the members of the TMMT – which stands for The Mind Mapping Team - and what they achieved during the first month of experience. I told you how the story began a couple of weeks ago with an open-air workshop. The participants learned some of the mind map rules and they created their first personal map. My plan is to coach them and follow their progress throughout an entire school year. Let me now show you a couple of interesting educational subjects we picked in their respective curriculum, how we reworked them with the mind mapping technique and what are the benefits for the children. Very recently, the teacher gave to the kids a dozen words to remember and to spell correctly. The test consisted in writing the right word in a definition that contained a blank placeholder. Although Baptiste did the exercise in the classroom and wrote the definitions down several times, he was still badly associating some of the words and therefore more study was required. But what was exactly the problem? Why Baptiste could not associate the new words? It’s simply because he was considering each definition as an indivisible block that he did not fully understand. It was too difficult for him to memorize and associate so many new things without understanding properly the meaning. Indeed the definitions were long sentences and contained other complex words and grammar which were not serving the initial purpose. At the end, he mixed everything, saying for example that a “pasha” was an old cloth or a "piloti", a man applying the law. And then everything became clear and easy with a mind map. We put a dictionary picture as a central idea and we created a main branch for each new word. Then, I asked Baptiste to read again each definition and extract up to 3 words that were key in the sentence. Without noticing, Baptiste was performing an important task of mind mapping which consists in identifying and selecting keywords for branches. But he was also eliminating all the complexity that the grammar and the language have introduced in the definition. The result was a straightforward mind map with very few terms to memorize and explicit associations between single and simple words. Knowing the rules, Baptiste also proposed to look for images on the internet that could illustrate each definition. 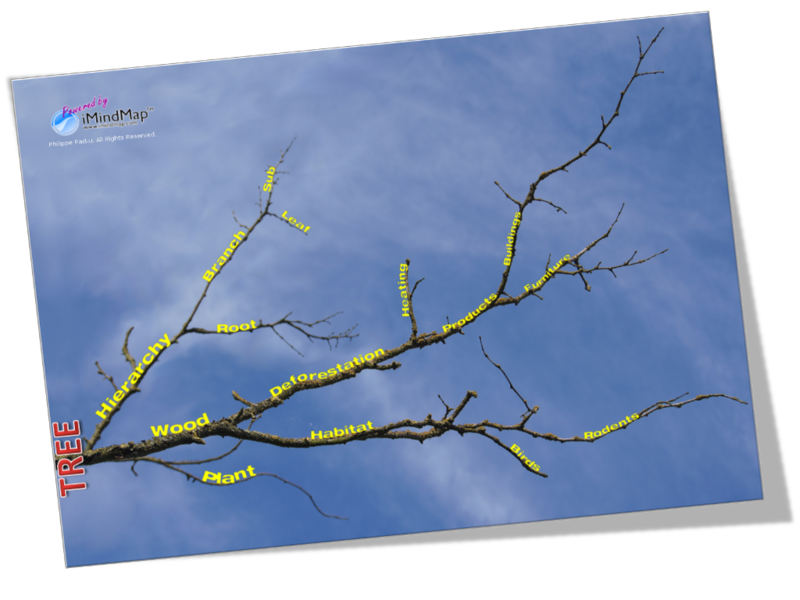 Finally, I checked the level of learning by removing all the words and images from the main branches and I asked Baptiste to guess what was written on each main branch only by looking at the keywords that remained on the sub-branches. He did it with ease and without any mistake.Here are 5 key benefits for Baptiste in this exercise : 1) He is self-satisfied to have mastered the lesson without too much effort;2) He understood the importance of keywords compared to long and complex sentences; 3) He discovered the power of associations (both for keyword and images); 4) He achieved more than expected by now being able to rephrase definitions without looking at the sheet; 5) He recognized by himself the benefits of mind mapping and remains motivated to do more of it. Robin was very busy at the beginning of the school year. Soccer is his passion and he reached a level that requires a lot of investment in time and energy. In collaboration with his parent, I would like to experiment how much the use of mind mapping could save him time when learning lessons or doing homework so that he could continue to invest in soccer without jeopardizing school results. Robin has recently received a project which consists in understanding the characteristics of a personal diary and writing one by Christmas. It’s a fresh request and we have some time to work on it. 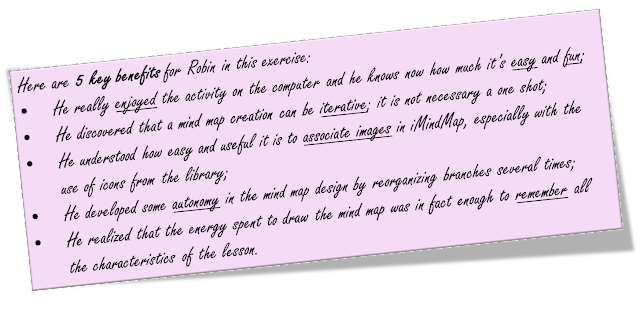 It will be very interesting to see how mind mapping will help Robin to write a special type of story. I noticed during my first face-to-face workshop that handmade mind maps would require too much effort for Robin. That had a negative impact on the mental activity he was performing and the underlying goal he was targeting. 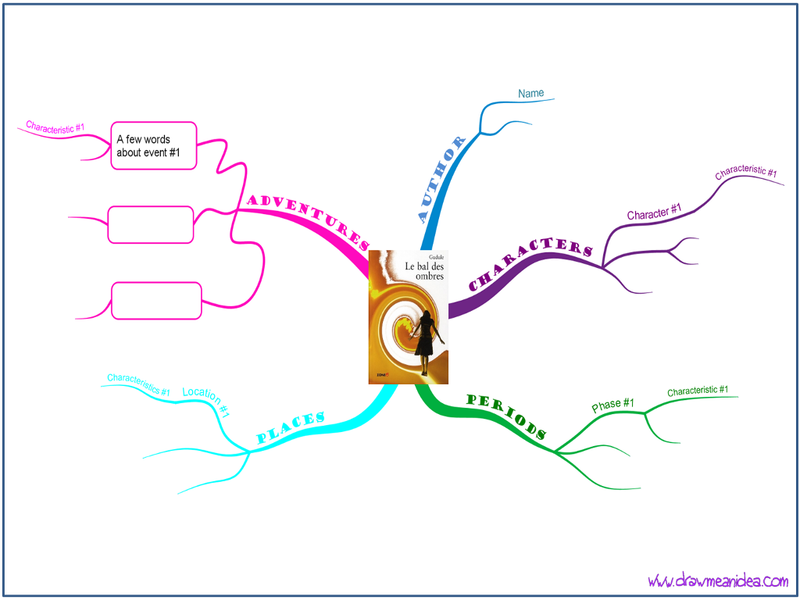 For the personal diary project, I decided to introduce iMindMap, the mind mapping software. Children of that age have no difficulties to use computers and they are already familiar with most of editing functionalities such as font size and color, alignment, copy and paste, … In iMindMap, it’s easy to understand how to draw a mind map if you know what are the rules. The process is intuitive thanks to a very well-thought user interface. We have just started the work. The first task we did was to reconsider the paper based theory and we transformed it into an organic mind map which will evolve throughout the project. I invite you to keep following this story and read about Robin’s personal diary project in our next episode.Here are 5 key benefits for Robin in this exercise: 1) He really enjoyed the activity on the computer and he knows now how much it’s easy and fun; 2) He discovered that a mind map creation can be iterative; it is not necessary a one shot; 3)He understood how easy and useful it is to associate images in iMindMap, especially with the use of icons from the library; 4) He developed some autonomy in the mind map design by reorganizing branches several times; 5) He realized that the energy spent to draw the mind map was in fact enough to remember all the characteristics of the lesson. One day in October, Corentin came back home with a huge challenge: memorize sixteen lines of poetry. It’s a lot for a kid of his age. Of course, he worked intensively on the subject in the classroom with the teacher but he was still not able to recall entirely and perfectly the poetry. On top, he received the text with some illustrations that he colourized. It helped him somehow to remember what the story was about. But poetry is more than a story and you have to remember each sentence in detail, all the words it contains in a precise order. So why Corentin could not recall it with so much time already spent on it? Would I have obtained the expected result by asking him to repeat the text again and again whereas he was already in a disappointed mood because of his failures? I had to find a better idea. I propose to Corentin to rewrite the poetry with a mind map. The principle was quite simple. In the centre, I wrote the poetry title and I drew an image illustrating it. Then we agreed with Corentin that while he was telling the story with as much details as possible, I would create main or sub-branches and I would add illustrations for each sentences in the poetry (not keywords because he’s still unable to read). Of course, each image had to perfectly correspond to the mental representation Corentin had in mind while telling or hearing the sentence. Once the mind map was complete, the last step consisted in checking what gap was remaining between the initial text and the one Corentin was able to recall when looking at the map. For each difficulty, I made the appropriate change in order to obtain a perfect match. 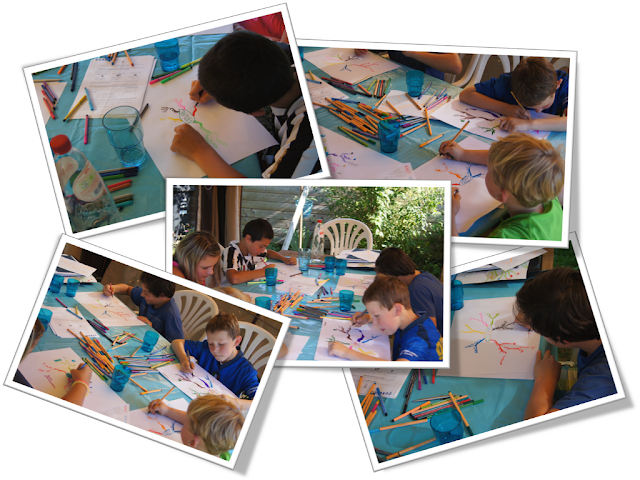 Immediately after this process, Corentin was able to visualize the mind map in his head. He told the sixteen line of poetry without any hurdle and he still able to declaim it today.Here are 5 key benefits for Corentin in this exercise: 1) He was much more confident after the use of mind mapping than before; 2) He is proud of the mind map we build together because he’s showing it to everybody; 3) He learned how to visualize mentally a mind map in order to trigger the recall of information; 4) He achieved more than expected by adding a great interpretation to the poetry, having no more difficulties to remember the text; 5) He recognized by himself the benefits of mind mapping and remains motivated to do more of it. Manon is following what we call in Belgium the secondary school (second cycle of 6 years). Time has come to read several books during the year and pass exam about what you retained from it. When we started to work together, Manon was on the point to finish the first book and I made a small check about the level of knowledge she reached so far. Let’s say that she knew the story superficially but not much more of it. Why Manon was not able to remember the key elements of the book? Why couldn’t she express its structure efficiently? Isn’t it a bit frustrating for a young student to discover that all the time spent to read hundreds of pages was somehow lost? But Manon wanted to improve herself and increase the probability to succeed. She was particularly open to test the mind mapping technique in this specific case. She surprised me a lot with the progress she made in a very short time. She’s my proudest so far. I taught her a technique for collecting meaningful information while reading a book. Basically, you have to capture who are the main characters and their characteristics, what is happening to them and why (key adventures in the story), when those events happen in time as well as their places (where) if relevant. But you also need an efficient way to write it down, to access and to update it any time That’s where the mind map brings a lot. I knew Manon was spending some time on her laptop and on social networks during the evenings. That was a unique occasion for me to test if a teenager was ready to replace some of her recreation time by a mind mapping activity on the same device. I made the bet that she could immediately use iMindMap (ThinkBuzan) so that we could exchange the files electronically and check her progress. She went on the internet and she searched for the book cover image. She found it and with an easy copy and paste, she replaced the central idea of a default mind map. Then, we created a kind of template with main branches for characters, places, moments and adventures. I checked immediately what she understood from the technique by asking her to populate the mind map and its sub-branches with some of the information she could remember from her reading. She was on track. I let her go and reviewed several times the document which was growing days after days until she finished the book. She was ready for the exam.Here are 5 key benefits for Manon in this exercise: 1) She learned a practical technique about how to capture and structure a book story; 2) She discovered that a mind map creation can be iterative; it is not necessary a one shot; 3) She understand that the mind map is only a support for achieving another goal; 4) She passed the exam and got a very good score; 5) She realized that the questions were exactly the one she had answered on the mind map, which reinforced the idea that she used the right technique. You will discover even more benefits of mind map by coming back from time to time and by following those amazing young people experiences. Do not hesitate to subscribe to the RSS feed or via e-mail if you wish remained informed. The Mind Mapping Team (TMMT) hopes to see you next time. My name is Map, Mind Map! 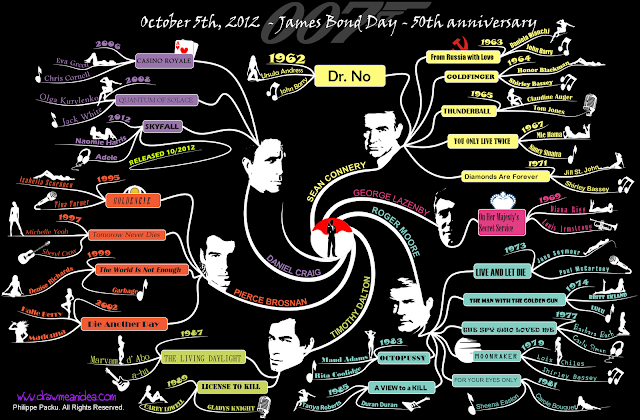 On October 5th 2012, the world celebrated the Global James Bond day which marks the 50th anniversary of Dr. No, the very first 007 film in 1962. Here is for you a new and impressive creative mind map which celebrates the event from a personal perspective. Last Friday, on October 5th 2012, I waked up with the news that the world was celebrating the fabulous British spy, James Bond. 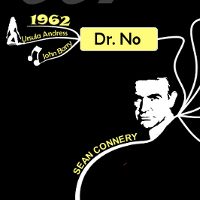 It was announced to be the Global James Bond day which marks the 50th anniversary of Dr. No, the very first 007 film in 1962. Of course, during the day and the following week-end, it was the occasion for a lot of radio and television channels to remind the list of the different films and their very creative titles, the name of the great British actors who played successively the main role and those of the lovely girls that accompanied them. I could also listen to several famous soundtrack. Given that context, I've been suddenly inspired by the subject and I decided to draw a mind map which would celebrate the event from a personal perspective. I'm very happy to share the result with you, especially because I think it can be very useful if you want to refresh your knowledge or discover more about the topic. Who knows, you could find there the answer for the next time you play a quiz! How to manage the complexity of the information? This article is also an opportunity for me to give you some recommendations that could help you to limit or reduce the complexity of your maps. Indeed, creating mind maps with a lot of useful information is not an easy task because it can become quickly unpleasant or even painful to read. As I used to say: “Many people can draw mind maps, very few can draw simple ones”. The problem when you write a short piece of information (a keyword) in a limited context, it’s nearly impossible for the reader to understand what you mean. For example, if I write the number “100” next to one of the film title, there are very few chances that you guess what it represents (it can be a lot of different things). However, when I write “1962”, the pattern and the context make you think about a date and most probably, the year when the film was released. I admit that I take a risk if I do not add a branch in between with “released in” written on it. On the other hand, I save some space and gain in clarity, preventing a lot of useless repetition of the same text. So, if the probability to misunderstand the meaning of your text on a branch is small, you can leave it as is without adding contextual keywords or image. For the James Bond girls and the singers, the problem clearly exists. If I write “Carly Simon” on a sub-branch of a film branch, you may guess right or wrong that it was the soundtrack singer, or the main actress or anything else. Here the risk of confusion or mistake is high. Therefore, I must either add additional branches to mention what I'm talking about or find another solution. The former would have led to a much more complex, less readable mind map with a lot of redundant labels. I made the choice to add nice icons (pictograms) instead, illustrating the meaning of the branch text (or at least providing a better context so that your guessing becomes more accurate). It’s also important to use different one throughout the map in order to help your brain to better associate and memorize the information. Because an image is worth a thousand words, a small icon can really help you to reduce the amount of text you need to write on your map in order to make it correctly understood. I hope you will enjoy this new creative mind map about James Bond. I'm impatient to read your comments and feedback. Your contribution is key for the development of my work and my studies, as well as for all the other visitors who are more and more everyday to discover the beauty and the utility of mind mapping. Young children will use mind mapping during an entire school year and I will share with you their evolution throughout their creations. September was the occasion to launch the initiative with a first workshop.After a well-deserved break and a radical change in my professional career, I'm back full of energy with even greater ideas for this academic year 2012-2013. I promise you a lot of creativity, efficiency and fun. The big news this year is the establishment of a team of young students who accepted to get into the mind mapping and be followed throughout the entire school year. 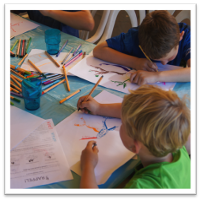 The goal is to analyse their interest in drawing mind maps, the evolution of their relationship with the school and their homework as well as the potential impact on their results. These boys and girls attending various French speaking schools in Liège (Belgium) are aged from 6 to 13 years. They are now part of what I modestly called "The Mind Mapping Team (TMMT)". This dynamic team will make you discover, through the various lessons of the curriculum, how it is possible to learn better and faster all sorts of lessons thanks to a rather original way of representing information and knowledge. 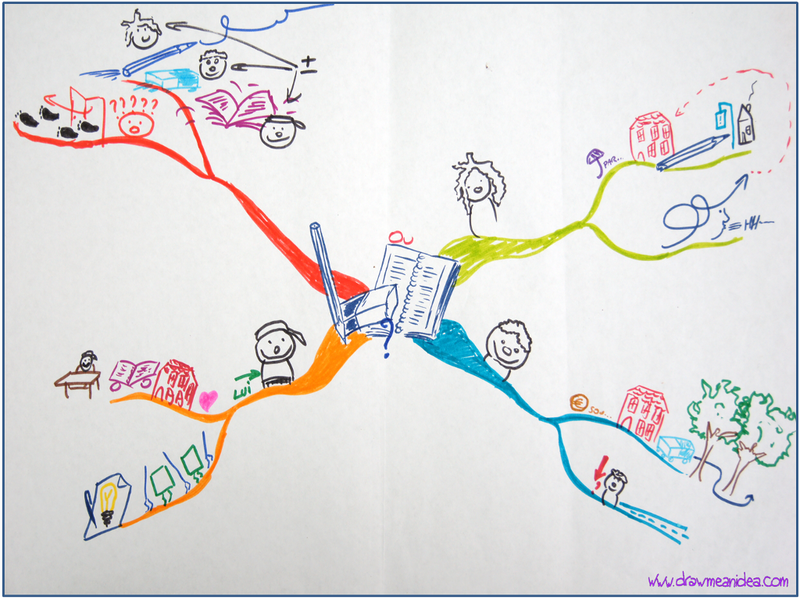 In order to discover the pleasure and specificities of mind mapping, I organized a discovery workshop early September. I started with a playful approach to the exceptional performance of our brain and the importance of our five senses. Then they learned a few basic rules but important for effective mind maps (sheet orientation, central idea, branches and sub-branches, curves, keywords, colours, images ...). It was also an opportunity to outline a first map without content in order to domesticate this new octopus or spider, according to the interpretations. Finally, my goal (without knowing initially if it would be feasible) was to invite each participant to draw their first personal mind map and assist them during the process. I must admit that I was bluffed by the early pencil strokes. Once overcome the initial apprehension about not drawing well enough, all seemed to have caught the main principle. For their first map, I suggested to think about a basic concept of their choice among "water", "nature" or "colors". The next step was then to place on the main branches words and ideas that come to their mind naturally and develop some of them further. Finally, they added some images. As you can discover on the gallery below, the result is quite encouraging. From now on, I will share with you on this blog the various experiences from the team members (and from other children on occasion) within their own living context. Throughout many type of activities such as learning a poem, making a speech, organizing a group activity, understanding the geometry, memorizing the geography, looking for ideas for a show, etc ... we will discover together how mind mapping will bring greater efficiency and pleasure in the preparation and execution of tasks. You will discover and learn a lot by coming back from time to time and by following these new amazing human stories. Do not hesitate to subscribe to the RSS feed or via e-mail if you wish remained informed. 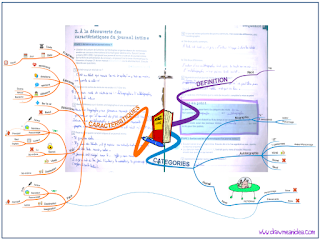 I would like to invite you with this article to create mind maps as naturally as possible. Looking at the beauty of nature, I discovered some elements that were shaped like mind maps. Is it a coincidence that some of the rules of mind mapping correspond with some of the laws of nature? Let me share with you a nice story about mind mapping in the nature.I would like to invite you with this article to create mind maps as naturally as possible. I’m hearing a lot about the creation process which is sometimes painful, with constraints that are not always understood or mastered. The reason why there is no section on this website about the rules is because I’m still investigating the reasoning and the limits behind each. We are facing constrains every minutes of our life in everything we are doing. On computers, we do not choose how we do things, we do the way the software tells us to do. The natural way to realize things do not mean much anymore. In mind mapping, some of the rules that may block you are in fact an invitation to escape from the conventional or framed way of thinking. Bash some educational barriers and behave more naturally, in harmony with your mind and the Nature. Look for freedom in your actions and decisions. Do not care too much about what others say about your maps. 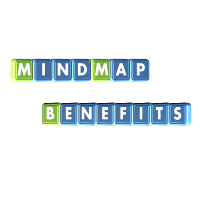 You will find mind mapping easier and pleasant, and therefore, more efficient. In that context, let me tell you this nice story. Some days ago, I was enjoying a peaceful rest in my garden and I was appreciating the beauty of nature. I noticed that the dead tree was a bit like a piece of a mind map. A bit later, I saw a couple of weed roots which were also looking like mind maps. Looking for more of them, I found another one on a leaf of a tree ... It immediately made me think about this nice chat I had with Jean-Pascal CÔTE, one of my French peers in the mind mapping domain. Thanks to him, I discovered the notion of biomimicry or biomimetics. This is the examination of Nature, its models, systems, processes, and elements to emulate or take inspiration from in order to solve human problems (source Wikipedia). It’s really an interesting domain. I was inspired by the topic and the relation I could established between some elements in the nature and the format of mind maps. I decided to create some representative examples that would illustrate my discovery. I took some photos that I used for drawing what I could call “natural” mind maps. In fact, I did not draw anything. I just put words on branches that were appearing naturally on my pictures. Here they are. With the idea of biomimetics in the head and while making this unconventional artwork, I could not prevent myself from thinking about the similarities between the natural world and mind maps. It was very interesting to discover that actually some of the rules are also respected in the nature. Let’s have a look at some of them. There is a clear origin: there is a starting point where all the energy is concentrated. It is not necessary located in the centre but it is definitely a root element from where other elements escape. Branches radiate: there is a clear first level of main branches (thickest) radiating from and around the origin (even if it is not always at 360 degree). Branches have sub-branches: there is a natural hierarchy structure that comes out from the element, with sub-branches appearing increasingly thin. 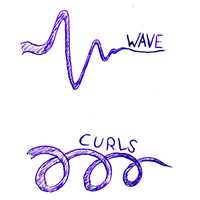 There is no broken line: from the start to the deepest part of the element, everything is connected and creates a flow of energy. Branches are curved: don’t look for a straight line in the nature, you will not find any. Do you want to bet? There is not a single straight line on earth that has not been manufactured by the human race. The space is infinite: there is a vast space the nature can use to grow and expand. You can probably discover more of them and share your findings here. 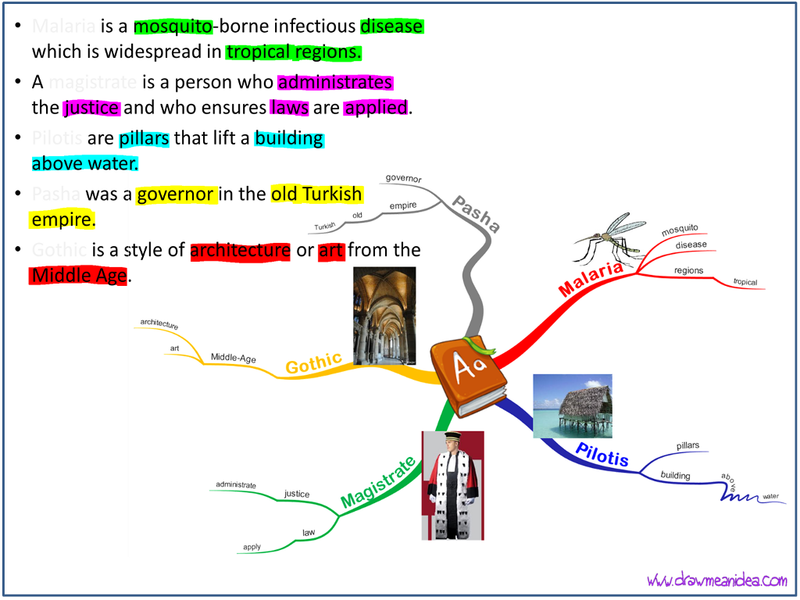 You can also think about other elements in the nature that are close to mind map structures. Here are some images that make me think about it. 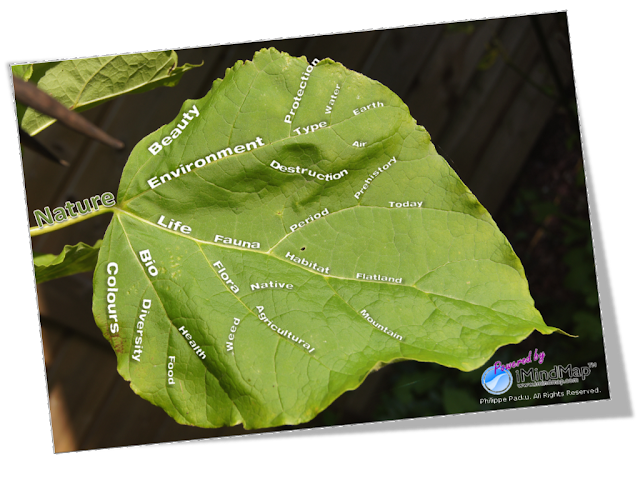 Practically, if you want to add text on a nature mind map (e.g. an out-of-the-box creative presentations), you can use iMindMap, the mind map software tool. First import the image in the background. Then you can draw your mind map on top. Make sure you are using 3 different colours: one for the background, one for the branches (same for all) and one for the text font. Once your mind map is finish, remove the background image. The last step consists in taking a screenshot of your mind map and extracting the branch texts. You can achieve that with an image editor (e.g. GIMP) using the "select by colour" magic wand and copy the selection in the clipboard. Finally, you can superpose your text image over the background image in your presentation. Hope you have been inspired. Am I drawing true mind maps ? 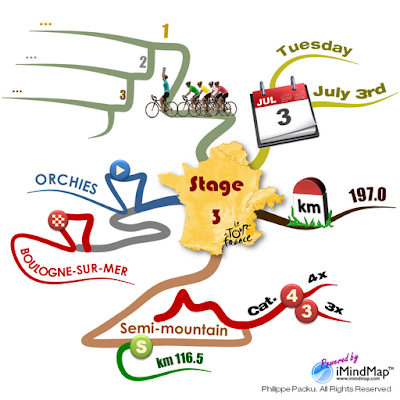 You will discover in this article several mind maps without an explicit central idea or main branches, especially one that details the characteristics of a stage of Tour de France. Although they are quite different from standards, I will explain to you why they are interesting and very inspiring.I have recently received a couple of feedbacks saying that some of my artworks are not really mind maps (see previous posts about Tour de France or Food Pyramid). But why some of my mind maps are triggering such a reaction? The answer is simply because there is no explicit central idea and/or main branches. 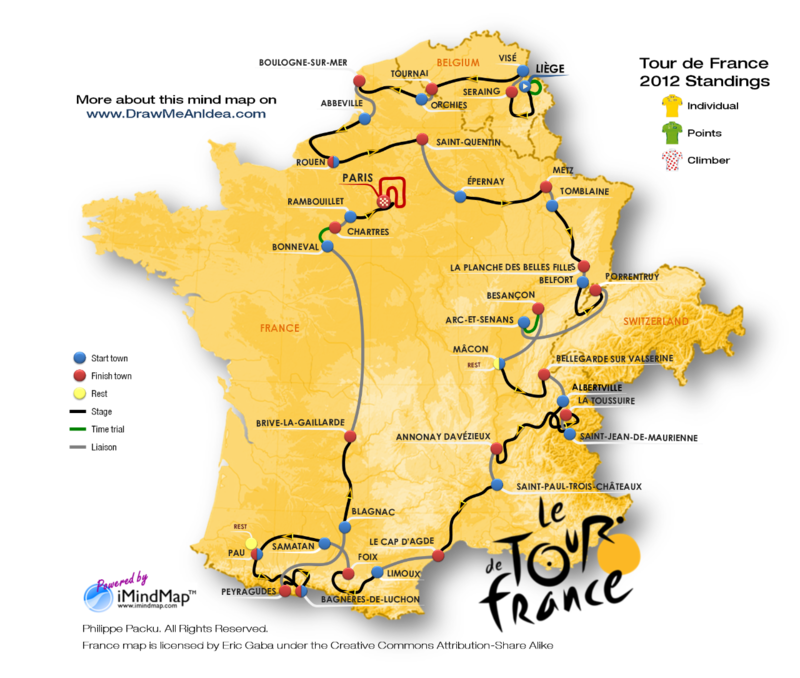 The one I decided to share with you here details a specific stage of Tour de France 2012, the prestigious cycling race. And it may receive the same kind of comments once again. 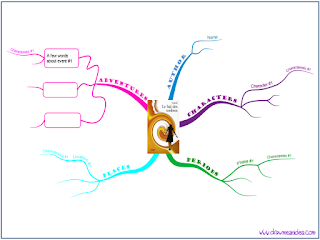 This mind map is fully supported by iMindMap, the mind mapping software. I built it with a succession of branches representing the profile of the route (using freehand feature), linking the start and the finish towns. 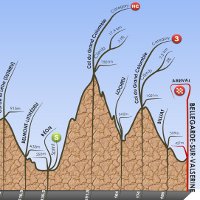 Although it is not explicitly appearing on the screen, the central idea is "Tour de France 2012 | Macon - Bellegarde stage". At the end of each branch, there is an opportunity to provide additional information with sub-branches (altitude, distance, location, climb characteristics, etc). From those points, you can imagine any kind of additional information (time estimation, race strategy, standings at the top of the hills, ...). The support is ready, mind mapping can happen. My objective is not to debate here what a true mind map is or whether I’m respecting the rules. I have a rather personal and creative way of interpreting the notion of mind mapping. What is important is to provoke a paradigm shift in the way we are thinking and structuring the information in order to release the hidden potential of our mind. Of course, Tony Buzan and his approach remain for me one of the most inspiring references in the domain. 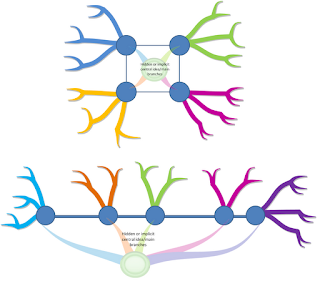 I’m probably one of the first who created mind maps that do not start from the centre (see How to create a tree with a mind map) or do not contain obvious main branches (see How to create a timeline with a mind map). Other mind mappers such as Hans Buskes or Patrick Zimbardo have recently produced nice out-of-the-box mind maps as well. They bring a great contribution in the domain. So why should I limit myself to draw mind maps that radiate only from a single and central point if I obtain interesting results with an extended approach? 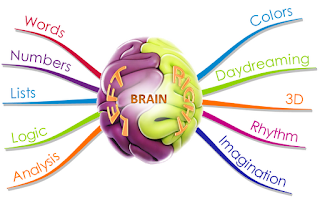 For example, this typical mind map about the brain (see picture) actually hides 2 basic ordering ideas (“Left” and “Right”) because of the central image. 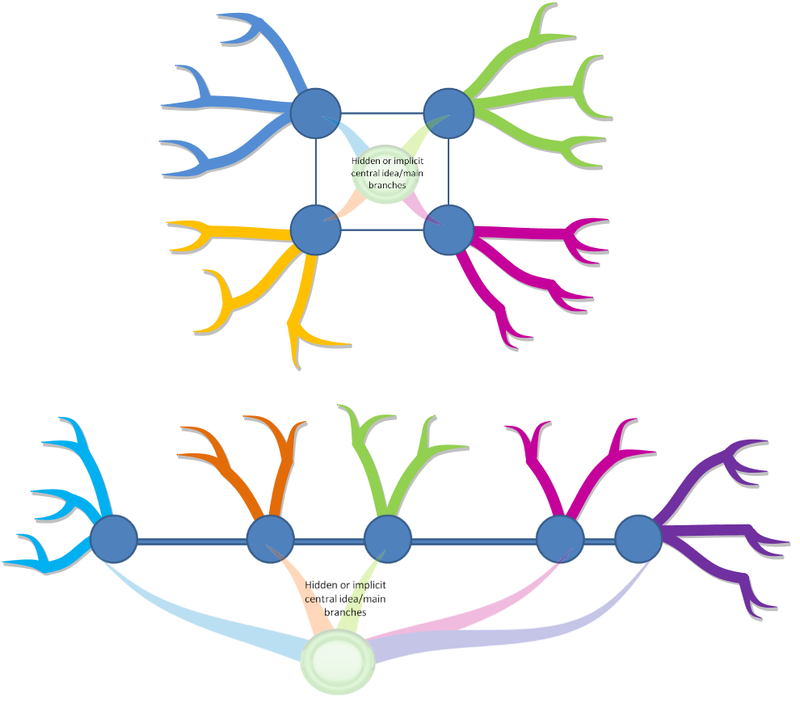 Note that although it may simplify the overall layout of the mind map or the generation of secondary level branches, it's also limiting the creation of new main ordering ideas (which could be an obstacle during the generative thinking process). Thinking further, I can imagine starting a mind map with 3, 4, 5 or even more hidden main branches, either because they are implicitly expressed by the central image or because it makes the mind map more readable. Going even further, I can imagine that the central shape outline (triangle, square or more complex ones) is an open line or a curve that contains a couple of points from where I would like to start radiating and organising the information. The central idea and the main branches become invisible and implicit as shown on the figure here below. Isn’t it the most important? RADIATING around a thought, a concept, a word, an idea, etc... and keep everything CONNECTED. Whether it is starting from the first level or deeper in the structure, we are still generating and connecting ideas and keywords together. Isn’t it the essence of mind mapping? I often hear that it is difficult to identify the main branches (Basic Ordering Ideas). An alternative is to consider them implicitly belonging to the centre of the map (and its image) or maybe not consider them at all in order to start directly at a deeper level. This is what I do in some of my creative mind maps. This is an alternative way of benefiting from standard mind mapping with slightly different starting points. It could even help some of you to start to create a mind map more easily. An important success factor for an efficient mind map is the ability to articulate and connect some thoughts from where it’s then possible to develop the idea with further details. Approach the mind map structure a bit differently should allow you to keep applying this principle. The Tour the France 2012 started on June 30th, from Liège in Belgium. Discover a new interactive map (of France) and creative mind maps detailing the characteristics of the stages. 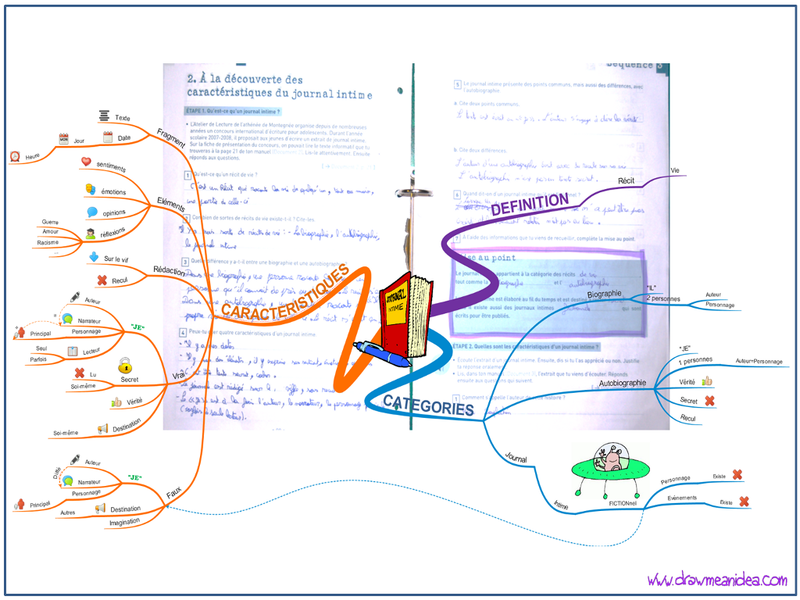 It combines the drawing flexibility of iMindMap software and the power of online tagging with ThingLink tool. I'm living in the Province Liège (Belgium) which launches the 2012 Tour de France. It is with unfeigned delight and pride that, following up the success of 2004, the Province once again hosts the grand start of the Tour. The Tour de France is an annual bicycle race held in France and nearby countries. As the best known and most prestigious of cycling's three "Grand Tours", the Tour de France attracts riders and teams from around the world. The race is broken into day-long segments, called stages. Individual times to finish each stage are aggregated to determine the overall winner at the end of the race. The course changes every year, but the race has always finished in Paris, along the Champs-Élysées (Wikipedia). 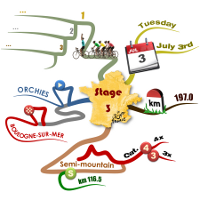 Running from Saturday June 30th to Sunday July 22th 2012, the 99th Tour de France will be made up of 1 prologue and 20 stages and will cover a total distance of 3,497 kilometres. This important event taking place in my region is a new opportunity for me to use iMindMap and ThingLink tools in order to design an interactive map, and detailed mind maps for stages. Following Patrick Zimbardo's idea who used a mind map for giving results about EURO2012 football matches (see Patrick's mind map), I plan to update each mind map with the results of the day, during the time of the Tour. You can download the iMindMap file on Biggerplate plateform. I truly believe that creative mind maps provide new ways of communicating useful information, whether it is for giving the big picture or going into the details. 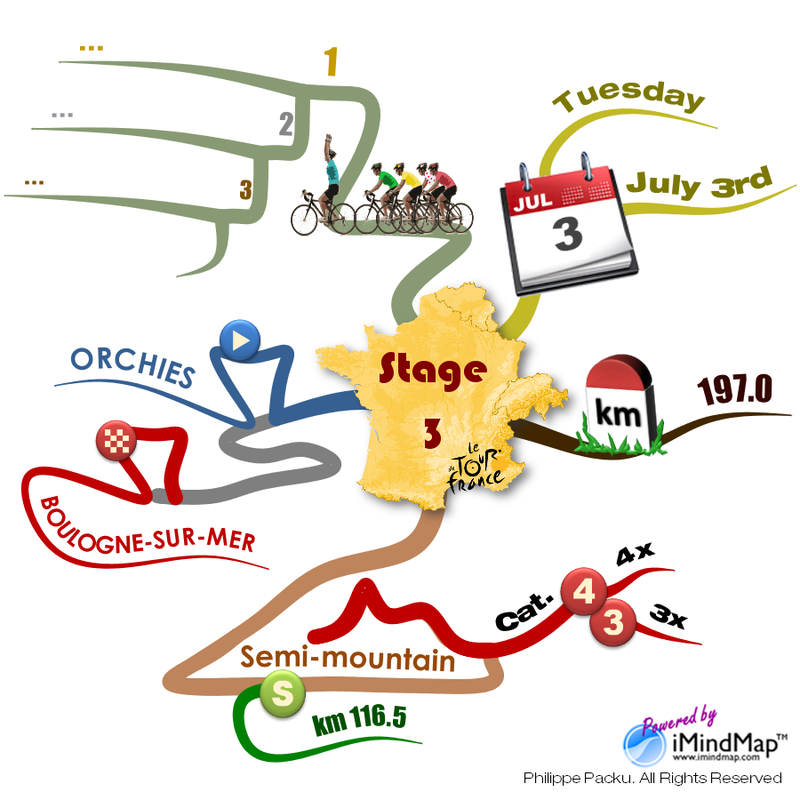 The stage mind map will inform you about the date, the distance, the profile (mountain passes, hills, intermediate sprint), the start and finish towns and once known, the 3 first cyclists crossing the finish line. I also invite you to read Am I drawing true mind maps? 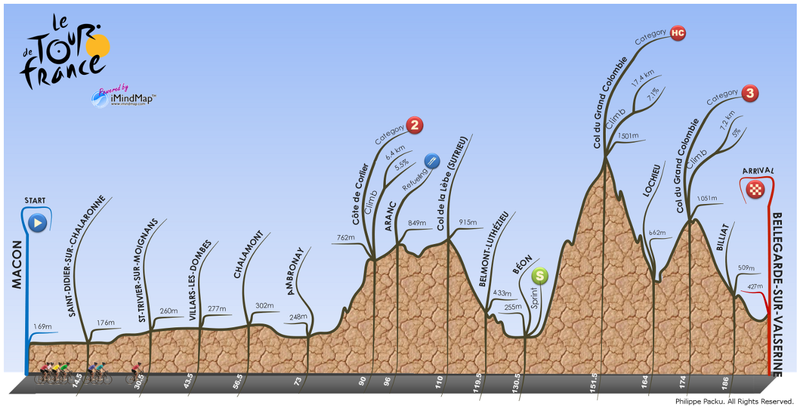 where you will find another creative mind map describing the route and the profile of a specific stage. Click here if you want to access a larger version of the interactive map. I hope you will enjoy this new creative mind map and its interactivity. Whether you like sport or not, the objective of this article is essentially to show the power of iMindMap combined with ThingLink in order to communicate information in an attractive and efficient way. Do not hesitate to share your own experiences with the tools. You are also welcome to ask questions about the technique, start discussions about the topic, give some feedback or contact me via the different channels for your requests or any additional information.